One caucasian children rides bike road in autumn park. Little girl riding black orange cycle in forest. Kid goes do bicycle sports. 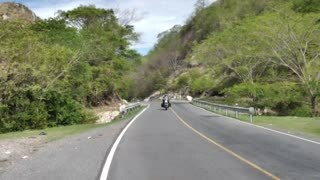 Biker motion ride with backpack and helmet. Mountain bike hardtail. Young people riding bicycles outdoors. 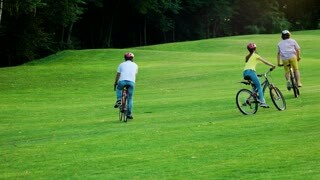 Group of young friends cycling on nature background. 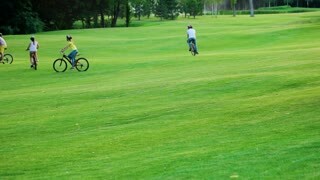 Bikers on golf field. Happy summer trip. Sporty company on bicycles. 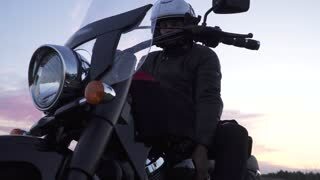 AERIAL: Cinematic shot of downhill biker riding his bicycle in the summer sun.